Therapeutic Massage –We have 2 Licensed Massage Therapists on staff. We offer a wide range of modalities, from specific deep tissue work to Cranio-Sacral Therapy and energy work. Massage has been practiced for thousands of years and provides a long list of benefits. I moved to Salt Lake City over 20 years ago after completing my initial training in massage at East West College of the Healing Arts in Portland, Oregon. Massage therapy brings together my love of movement, the human body, and working in the health field into a daily focus. Over the years my education has continued with training in St. John Neuro Muscular Therapy, myofacial therapy, and most recently a focus on rehab exercises. My best teachers have been all of you. It is an amazing partnership, one of mutual trust, respect, and frankness. I am forever grateful to every one of my clients. I have been a licensed massage therapist in Utah since 1997 and have maintained a private practice in Salt Lake City since 2000. It is my intention to bring a grounded, connected and open-hearted presence to my work. I am passionate about assisting people in shifting their energy to a positive, centered and balanced place. 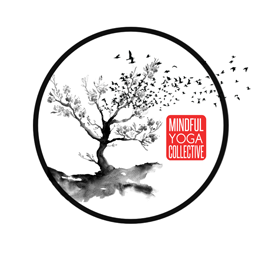 A place where individuals feel they’ve transcended from disconnected to embodied, from contracted to expanded and from suffering to healing. Craniosacral therapy (including work with infants and children). Unique blend of Swedish, deep tissue, fascial release and energetic bodywork for stress and pain relief. Experience working with premature infants in the Neonatal Intensive Care Unit as part of a 3 year massage study. Certified Instructor of Infant Massage through Infant Massage USA. Breathwork and Laughter Yoga facilitator. Experience working with Cancer patients and their caregivers, volunteering as a massage therapist at the Cancer Wellness House since October 2010.